Since inception, we are engaged in bringing forth the clients a commendable assortment of Industrial Wheels. 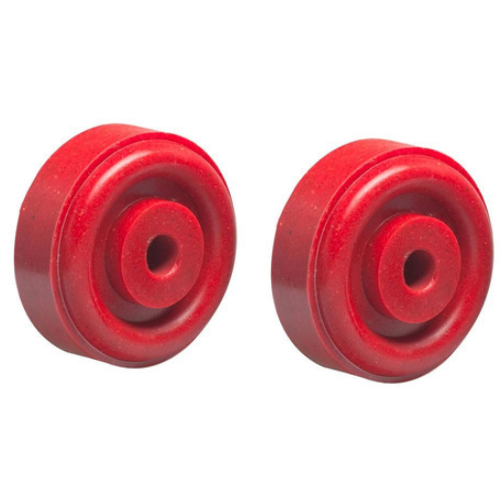 Our assortment comprises Wheels And Castor, Mobile Floor Crane & Trolley Wheels, UHMW Polyethylene PE Wheels and Polyurethane Wheels, to name a few. All our products are strictly developed as per the international quality norms & standards using premium quality raw material and modern tools & technology. We offer customization of the range as per the clients' requirement. 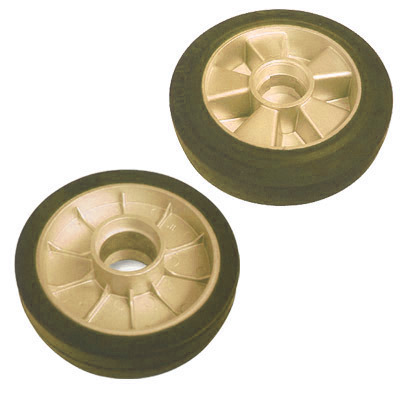 With the aid of modern tools and sophisticated technologies, we have been able to provide the customers with commendable range of Trolley Wheels. These products are manufactured using high quality raw material, advent machinery and latest technology, that is procured from trustworthy and certified vendors of the market. Further, we manufacture our entire range under the guidance of our dexterous professionals in compliance with industry's norms and standards. Load Capacity 40 Kg to 1500 Kg. 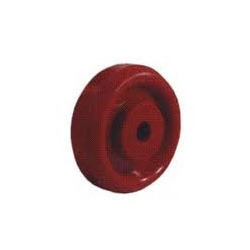 Carving a niche for the organization, we have been able to provide the customers with a commendable range of UHMW Polyethylene PE Wheels. The offered range is strictly manufactured as per the international quality standards using premium quality raw material and advanced technology. Our products are widely appreciated by the clients for their attributes such as abrasion resistance, high impact strength, excellent chemical & stress cracking resistance, self-lubricating and sound dampening properties. Load carrying capacity 40 Kg to 1500 Kg. Owing to the sprawling infrastructure, we have been able to bring forth the clients a wide assortment of Polyurethane Wheels. Fabricated using premium quality injection molded polyurethane, the range is used to bridge the gap between rubber and thermoplastic wheels. Developed as per the international quality standards, the range is appreciated for its attributes such as low noise operation,abrasion resistance,low rolling resistance and non staining & floor saving properties. 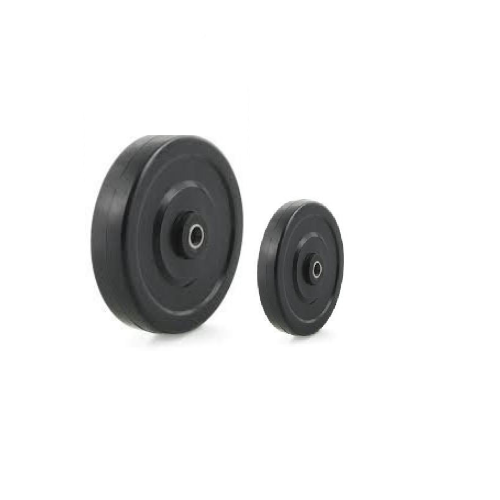 Size range 50 mm o. D. To 300 mm o. D.
Owing to the vast industry experience, we have been able to bring forth the clients an excellent assortment of HDPE Wheels. Manufactured using premium quality raw material and advanced technology, our products strictly comply with the international quality standards. The offered range is widely appreciated by the clients for its excellent attributes such as excellent impact strength, chemical & stress cracking resistance, self lubrication and sound dampening properties.